Antique Gold with Linen Liner. 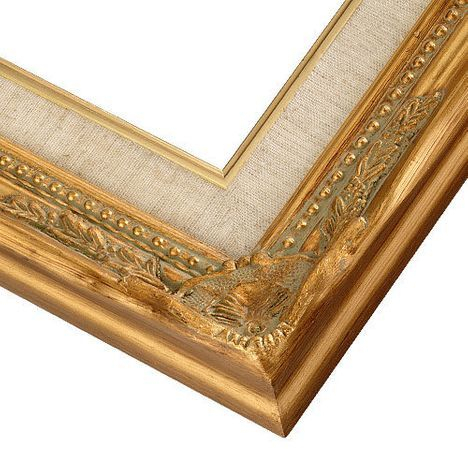 This striking gold frame features a gently scooped profile, as well as elaborate relief details and delicate beading set off by a rich patina. Ideal for canvas, the polished corners, linen liner and gold leafing make this luxurious wood picture frame a testament to fine craftsmanship. Choose frame size. Shipping is $16 only for US customers.